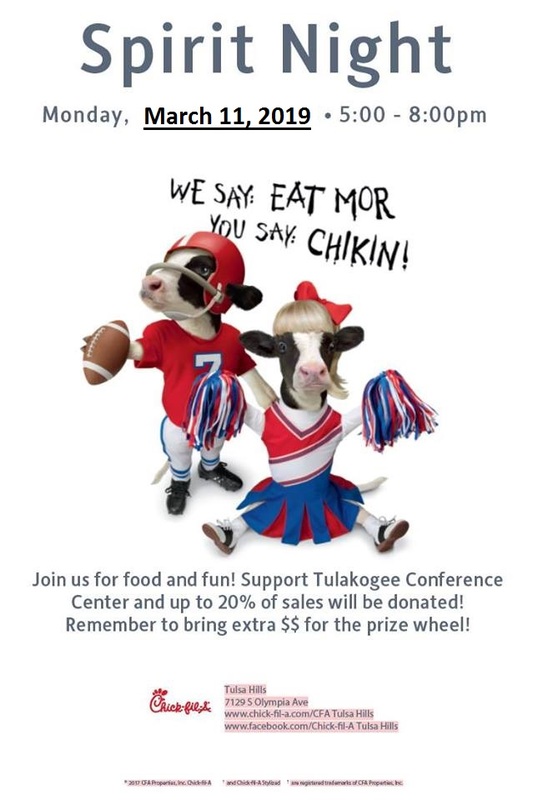 Thank you for coming out to Chick-Fil-A tonight to support Tulakogee with your dinner purchase. We are currently working on many new things out at Tulakogee. Check back soon for more information and updates. If you are looking for additional ways to support Tulakogee, check out our new Donation section here on the website. Come Join Us!! This Monday Night (3/11/19) from 5 to 8pm at Chick-Fil-A Tulsa Hills for food and fun. 20% of your meal will be donated to Tulakogee. We would love to see you there.